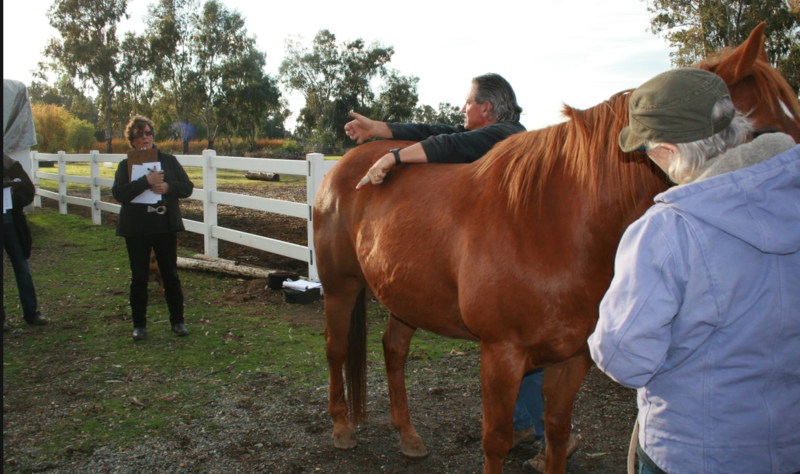 In this 1-Day, hands-on clinic students explore the different ways in which horses reflect our strengths and weaknesses. Animals that we are connected to will chose to serve us by mirroring our ways of being; both positive and negative. As they chose to interface with us, they can take on our physical and emotional state in an almost exact reflection. Techniques used to ask the horse to identify one or two core physical restrictions essential for you to look at: direct, indirect, and intuitive. Assess and compare muscular skeletal alignment for yourself, looking for holding and trauma patterns. Evaluation and compare restrictions in yourself and how it mirrors and transfers to the horse.